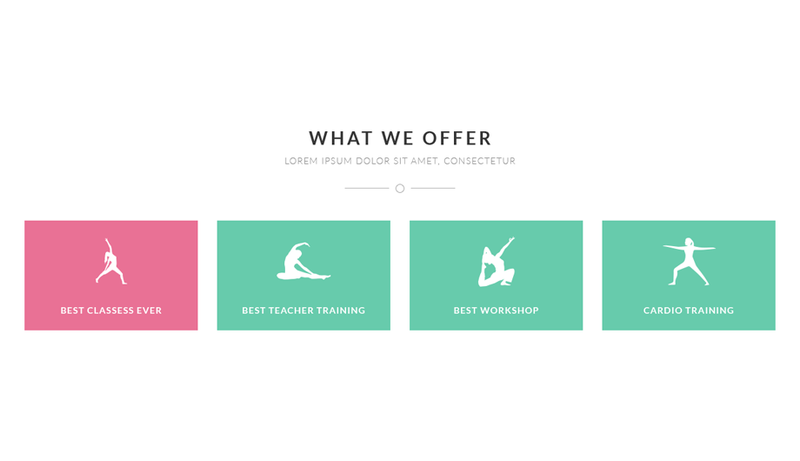 The yoga WordPress theme ‘YogaPoint’ is designed specifically for yoga studios and teachers. It can be used for creating yoga classes or yoga training websites with a stunning responsive design. 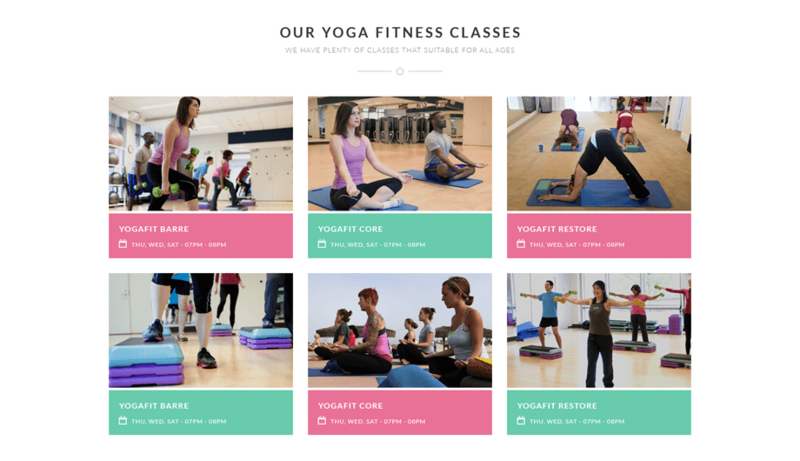 YogaPoint is a professional WordPress yoga theme built with standard yoga studio needs. 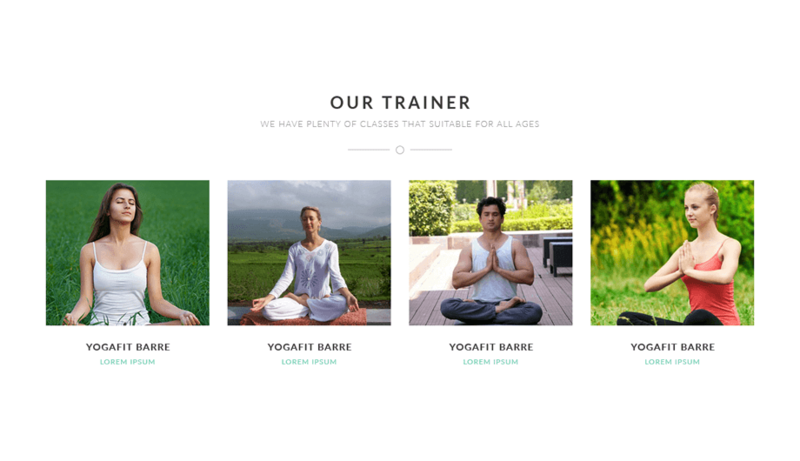 This theme includes 3 custom post types: Yoga Classes, Yoga Trainers, Testimonials, and so many widgets and shortcodes. Its clean design can softly enlighten up your mind just like when you practice some yoga poses. YogaPoint WordPress theme is truly flexible and can be customized in just a few clicks according to your requirement by using option panel. 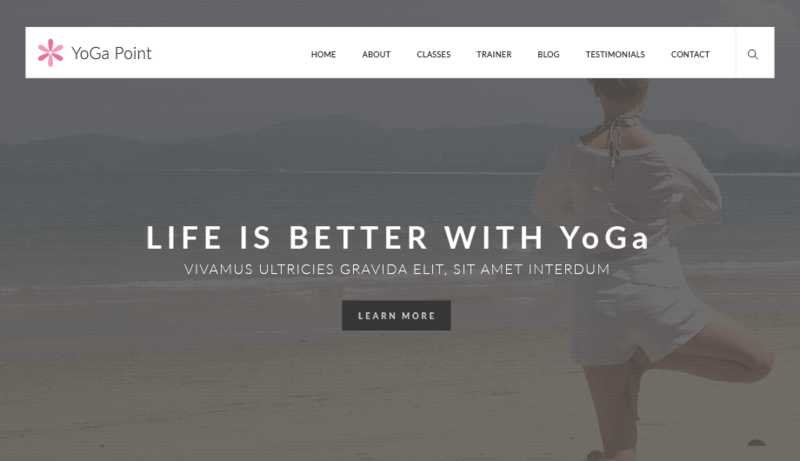 You won’t have to code anything for this Yoga studio WordPress theme. This theme supports localization and RTL. 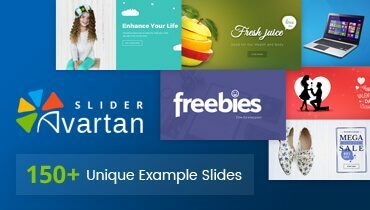 One of the major advantages of having WordPress YogaPoint theme is that it includes Avartan slider plugin. YogaPoint includes mega menu support that offers to create beautiful and simple mega menu for your site. Theme options panel comes with lots of settings and features that control the look and feel of the theme. Create your website same like as our demo website with just one click and take your tea. Enable easy sharing via social networks and easily manage social media. To manage your home page is very easy with YogaPoint. Just drag and drop widgets in homepage content area. YogaPoint provides unlimited header options using 5 default header layouts. YogaPoint theme allows you to add sidebar dynamically in the footer are and helps to choose how many sidebars you want to display in the footer. Easily create your own custom widget areas without doing any code. Even you can set the different sidebars to perfectly match to each page. 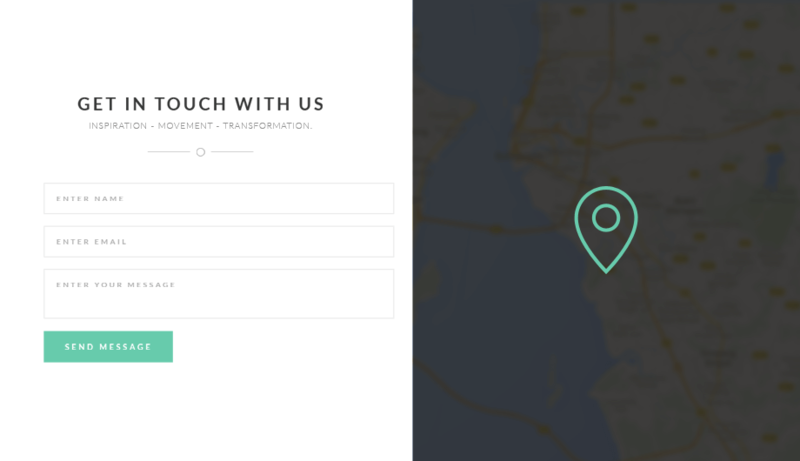 Flexible Contact Form plugin. Setup as many different forms as you want with contact form 7. YogaPoint theme provides options for the preloader, like display loader only in homepage or in all the pages, add custom images for loader etc. YogaPoint theme allows 3 options for page layouts like full width layout, boxed layout and frame layout. You can easily add custom CSS directly from our theme options panel without editing core theme file. 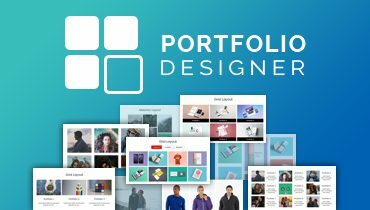 YogaPoint provides 2 options for header banners like use custom image or slider. YogaPoint theme is built with LESS .css. All LESS files included. YogaPoint theme is fully responsive, it is compatible with all devices. Whether you’re looking at mobile, tablet or desktop. 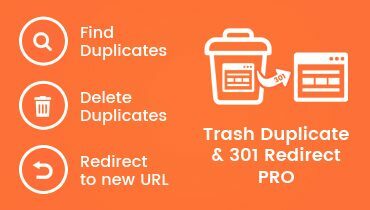 Our all WordPress themes and plugins are detail documented with all types of configuration and settings. Support is never far away. 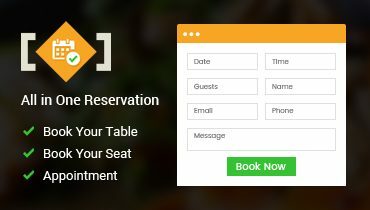 Simply create a support ticket for queries like pre-sales, issues or customization. 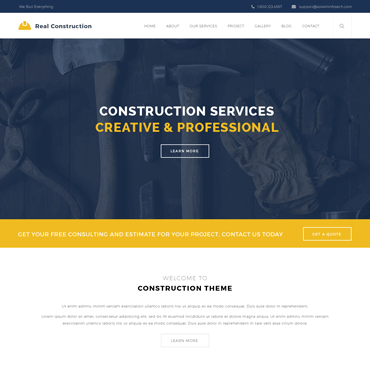 This theme helped be designing a website exactly what I intended to. I believe it can easily be tailored for other studios like Gym, Spa, Boutique etc. – It contains professional elements a studio needs; especially the slider, containers, call-to-action buttons are visually appealing. – The pages needed for a studio have good features; e.g. class, trainer, testimonials etc. – Building a responsive site may require a bit assistance. – Additional plugins are needed for Photo Gallery, News/Events etc. 4. Now, Click on Upload Theme button at top and upload yogapoint.zip. 5. Click on Activate to active YogaPoint theme. Please refer this theme update instructions to update YogaPoint theme to latest version. 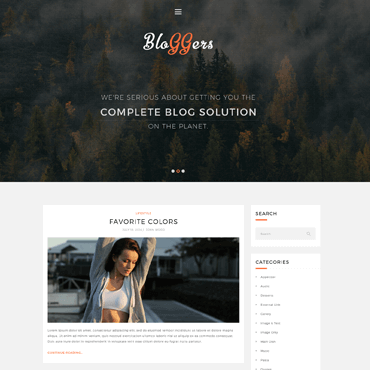 Bloggers is a modern and classy WordPress blogging theme for personal bloggers, writers, authors etc . 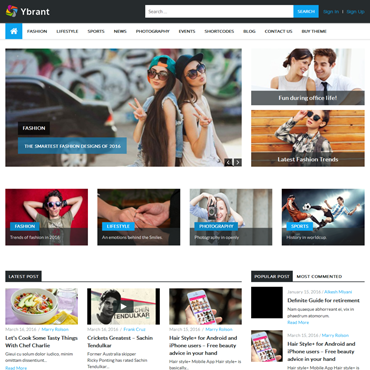 Ybrant WordPress theme is an elegant theme for magazine, news and newspaper related websites.